Salt & pepper the chicken or use whatever spices you like. Grill until done. 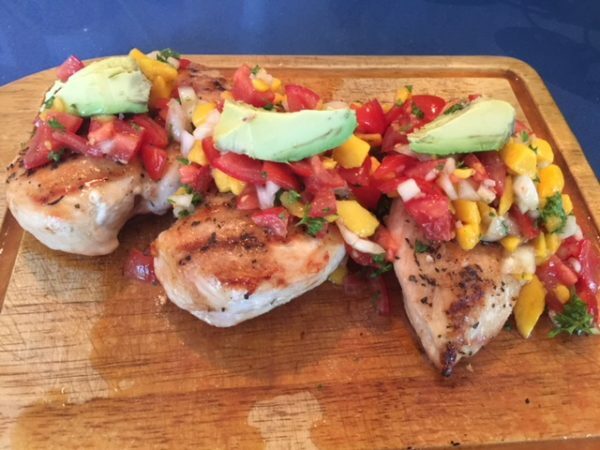 While meat is resting, spoon peach salsa over the top of breasts. Add sliced avocados on top of the salsa and sprinkle with just a touch of Italian dressing.